This might be the coolest Halloween caramel apple idea I have ever seen. Beth took a dipped apple and created this amazing witch cualdron caramel apple. There might have been a little magic involved. This thing is pretty amazing. 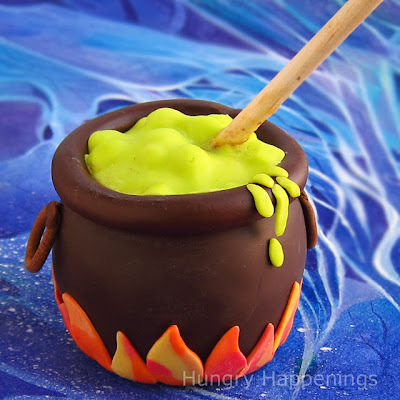 You can see how to make a cauldron caramel apple over at Hungry Happenings.